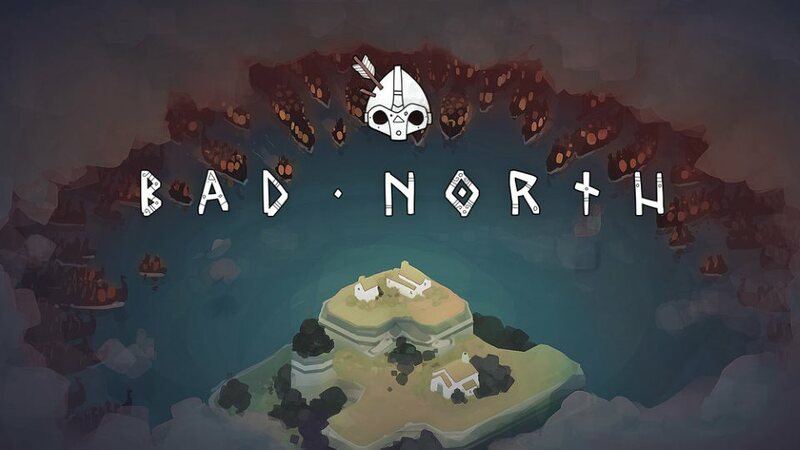 Bad North is a really stripped back RTS, which is nice, 'cause I tend to be terrible at the more involved ones. I don't have the patience to learn the vastly complex inter-related resource systems, so this game pleased me. 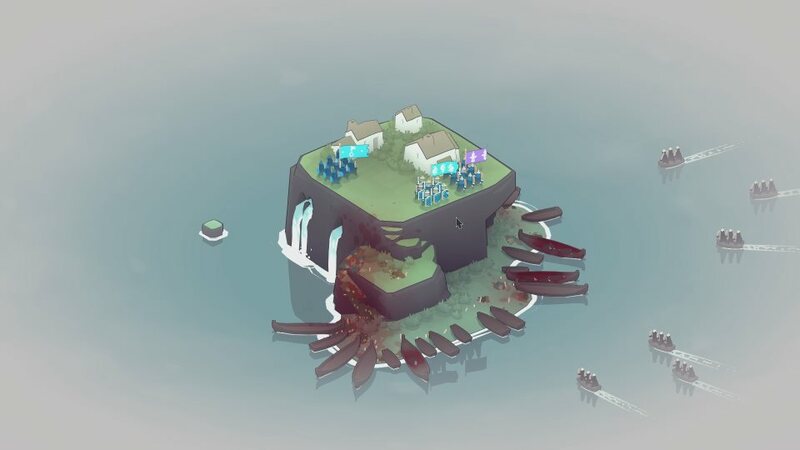 You're being invaded by Vikings, and so you're trying to escape from them across a series of randomly and procedurally generated islands. Each turn you hop from one to the next, in a long chain, and on every single one of them, they decide to give you a bit of a fight. Ruffians. What this boils down to is a series of scenarios on differently shaped and setup islands. You start off with a few commanders, each of who have their own squad, and if you're lucky, as you make your way through the islands, you'll pick up more. There are three types of squad, swordsmen (who have shields and are good at running about), archers, and pikemen, excellent at defending territory, but awful on the move. Which means you end up playing a bit of rock-paper-scissors, selecting the right soldier for the right moment. Pikemen are perfect for strategic defence. If you can line up a killing field and bring the Vikings in through a single channel, pikes will go through them like a hot knife through butter. Unfortunately, archers will murder your pikemen with ease from a distance, so you'll need to employ your defensive shield-bearers to hunt them down. And as anyone who's read Warren Ellis' Crecy will attest, archers will make mincemeat of undefended attackers from a distance. 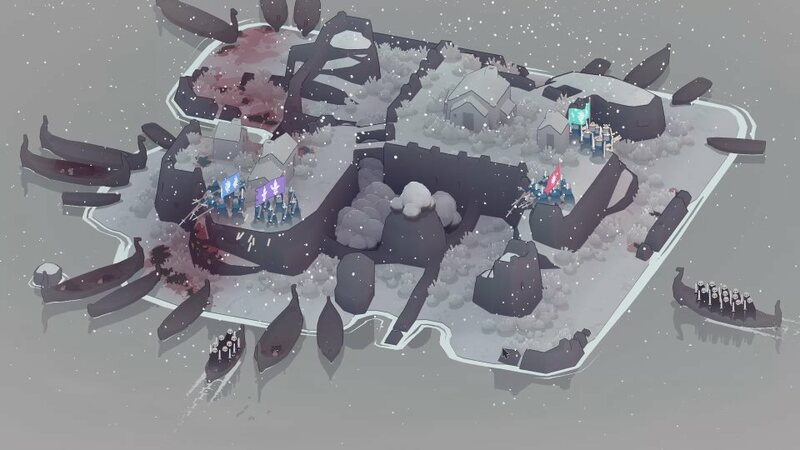 Your soldiers only get more effective if you manage to defend the buildings on each island. (If you don't defend them, the Vikings set them on fire.) Each saved building gives you a few coins to upgrade your soldiers, giving them better shields or longer pikes and so on, and you might find yourself attached to a particularly useful squad. This is only aided by each commander getting their own name and little icon. As well as general upgrades, you can also unlock special skills, such as lemming-like leaping off cliffs onto unsuspecting foes below, or powerful charges. You also find treasure, such as pendants to increase the number of soldiers in a squad, or a bomb, that does, well, what bombs normally do. Have to say, it does look smashing. The cutesy cartoony style is pleasing, and means no one looks at all troubled to be invading or invaded, right up until you brutally mow down dozens of people in a killzone, when they fall into bloody gore. That's matched by the sound design, which is minimalist. You get a bit of tapping as people run about, the nocking of bow strings, and groans as people die. It's down to just the indicative sounds, that are less genuine, more stylistic, and it makes it somewhat soothing to listen to. The atmosphere is just there, not confusing or distracting, but fully part of the scenery, especially the ominous horn that starts each level. Had lots of fun with this one, and suspect I will for a while.